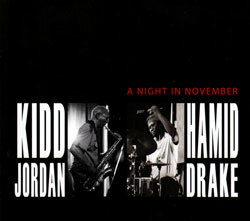 The New Orleans bass-less free jazz trio of tenor saxophonist Kidd Jordan, drummer Alvin Fielder and pianist Joel Futterman are joined by New York trombonist Steve Swell for a concert at the Old US Mint for an absolutely superlative recording of lyrical and expansive collective improvisation, each player urging the other on as they create instant epics of modern jazz. 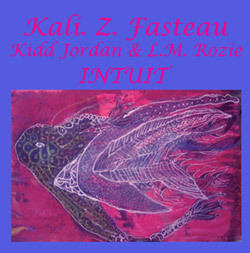 If any artist deserves the moniker "world music" it's Kali Z. Fasteau, who embraces a wide set of instruments with both seriousness and wonder, performing here on drum set, nai flute, viola, mizmar, aquasonic, and voice, alongside Kidd Jordan (sax) and L. Mixashawn Rozie (winds). 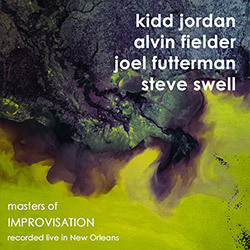 An inventive, exuberant and absolutely amazing duo record from free jazz legends Edward "Kidd" Jordan and Hamid Drake recording live at New Orleans' renowned Piety Street Recording. 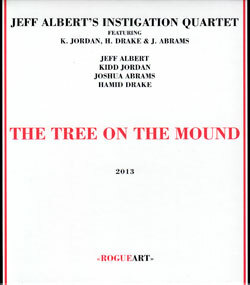 Trombonist Jeff Albert's Instigation Quartet, comprised of saxophonist Kidd Jordan, double bassist Joshua Abrams, and drummer Hamid Drake, play a superb studio session, starting and ending with two works by Fred Anderson.